Ready to Move Forward: Benore Logistic Systems, Inc.
Benore Logistic Systems, Inc. (Benore) is a supply-chain service solutions company that provides transportation and logistics services with a reputation for excellence. As an industry leader, Benore has grown for over 20 years into an end-to-end supply-chain service provider that can meet the needs of any company. 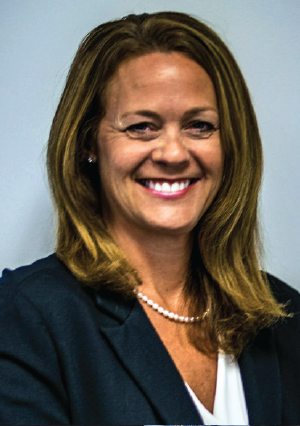 Megan Latzig-Tugnoli, director of human resources at Benore, spoke with EDGE about the benefits of the training and recruitment assistance provided by readySC™, as well as potential opportunities to fill the company’s future workforce needs. EDGE: Please tell us about Benore, and how it got started in South Carolina. Megan Latzig-Tugnoli: Benore Logistic Systems was founded by the Benore family in 1994 by Jeffery, David and Joan Benore. Benore moved to Greenville, South Carolina in 1994, and in 2000 the family expanded operations primarily working with BMW and Michelin and built their current facility located at 2501 Hwy 101 in Greer. 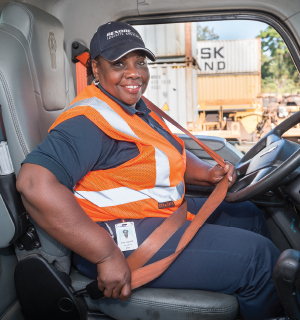 We employ over 900 employees in the upstate, and we are seeking to fill another 100 positions, specifically in Class A CDL, warehouse operations and logistics operations. EDGE: Tell us about your workforce – what kind of skills do they need? MLT: We have a very skilled workforce here at Benore. 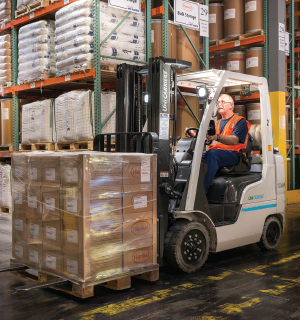 Our employees’ skills range from Class A CDL drivers, forklift and material handlers to professional logistics associates, logistics planners, engineers, and information systems. Our workforce also consists of programmers, dispatchers, human resources, accounting, finance, talent acquisition, front-line supervisors, operations management, Department of Transportation and Occupational Safety and Health Administration and compliance professionals, supply-chain management, diesel mechanics, continuous improvement and project management. Our employees have a wide range of technical skills for various positions throughout the organization. We have top notch transportation and warehousing operations systems and our own proprietary software programs, IIM and Bravos. 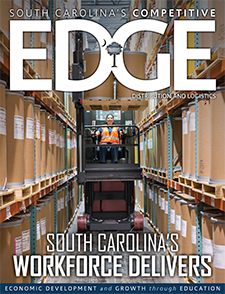 EDGE: Over the years, how have readySC and the SC Technical College System helped to recruit and train your workforce? MLT: We have partnered with readySC since 2010 with a variety of different projects that expanded over several years from 2011 to 2017. readySC has been instrumental in assisting with a number of new startup operations throughout the upstate, assisting with placement of advertising, recruitment and selection to onboarding, training and development of new hires and existing employees. We have also partnered with readySC and the SC Technical College System to provide leadership development and increase the technical skills of our existing workforce. EDGE: Do you foresee any new challenges that readySC and your local technical college could help overcome? MLT: The transportation industry has been faced with a driver shortage that continues to grow. In addition, many new suppliers and companies have relocated to this area, which has increased the demand for warehousing and logistics talent. As we continue to grow in the upstate, we anticipate partnering with readySC to assist us in recruiting the talent that we need for this growth. Increasing our current workforce’s technical skills through the technical college will allow us to continue to streamline operations and become a more efficient organization to provide better service to our customers. We would also be interested in exploring other opportunities for partnership in developing a long-term training program for Class A CDL drivers. We look forward to discussing all of our options with the technical college, readySC and Apprenticeship Carolina™. EDGE: If another company was thinking of working with readySC and the SC Technical College System, what would you tell them? MLT: Joan Benore and myself are advocates for readySC and the SC Technical College System. Both have assisted our growth by helping us to acquire the right talent and develop their skills effectively. We primarily use Spartanburg Community College’s Tyger River Campus for our training due to its proximity to our facility. 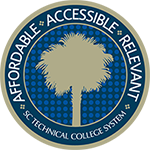 Both readySC and the SC Technical College System have provided us excellent service, from hosting training, creating curriculum to furnishing instructors and developing our employees’ technical and leadership skills.